The Pro Peloton in words…. The time between the end of the Tour de France and the start of the Vuelta a España is packed to bursting with excellent racing -which is great news if the finishing circuits of the Champs-Elysées leave you feeling flat and uninspired. We’ve already seen some one-day action with RideLondon hosting the World Tour level London-Surrey Classic and Michal Kwiatkowski’s brilliant win at the Clásica San Sebastián since the Tour finished in Paris. As for stage racing – the Tour of Poland, Tour of Utah and the Vuelta a Burgos are currently in full flow! We’re still a few weeks away from the Vuelta, but there’s plenty of road racing to keep you busy. Here’s your post-Tour survival guide to take you from France to Spain each year. The Tour de Wallonie travels through the French speaking part of Belgium, and is part of the UCI Europe Tour. From 1974 to 1995, the race was for amateurs only. This year saw BMC’s Dylan Teuns take the overall win – fittingly for a Belgian! This year, Team Sky’s Michal Kwiatkowski won the one-day classic in Spain’s Basque region, a race which is famed for its stunning coastline scenery and tricky climbs. Part of the UCI World Tour, San Sebastián usually clocks in at around 220km in length, with the race often being decided on the slopes of the Alto de Jaizkibel, a climb which the riders tackle twice and which makes its second and final appearance around 20km from the finish line. Lance Armstrong won here in 1995 before his cancer diagnosis; other famous winners include Casagrande, Jalabert, Indurain and Valverde. British rider Adam Yates won the 2015 edition. The annual London-Surrey Classic grew out of the hype around the 2012 Olympics; the first edition of the race was run in August 2011 as a warm-up for the Games. The inaugural London-Surrey race was relatively short for a Classic, covering approximately 140km and taking in many of the same roads as the Olympic events a year later. Once out of the city, the riders enter the Surrey Hills Area of Outstanding Natural Beauty, and tackle a number of circuits of Westhumble through to Ranmore Common and on to Box Hill. The famed climb of Box Hill is not the only incline on the route, which also includes Leith Hill and a 50 mile circuit in and around Dorking. This year the London-Surrey Classic joined the UCI World Tour as part of an ever expanding calendar of races. The race has become a favourite with the riders for the iconic locations taken in over the 200km course – as well as Box Hill, the route also passes through Westminster, crosses Putney Bridge, and finishes on The Mall in front of Buckingham Palace. Amateurs get the chance to ride the same roads as the pros immediately prior to the Men’s race on the Sunday of the RideLondon festival of cycling. 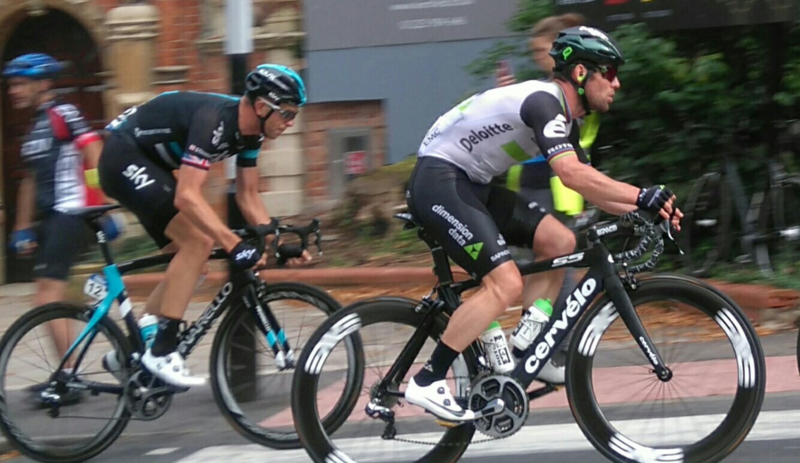 The race is well suited to sprinters – Mark Cavendish won the inaugural edition, this year the honours went to Katusha Alpecin’s Alexander Kristoff. First held in 1928, the Tour of Poland is a week long stage race. Like the Tour de Wallonie, the race began life as an amateurs only event, eventually becoming a pro race in 1993. Now classified as part of the World Tour, the Tour of Poland has earned a reputation as a top quality, well organised race. Inspired by the Tour de France, the original race even had the backing of a newspaper like it’s French counterpart; the Warsaw Cycling Club teamed up with Przeglad Sportsowy, a sporting newspaper, to organise the first edition. The 2016 edition was won by Belgium’s Tim Wellens, and I expect by the time you read this we’ll know who the winner of the 2017 edition is! Nicknamed ‘America’s Toughest Stage Race’, the Tour of Utah is relatively new on the scene and notorious for its difficulty – half the competitors did not finish the 2010 edition. The race is made interesting and tough through a combination of extreme weather and high altitude, which are often the deciding factors in the General Classification competition. Founded in 2000, the inaugural edition was only open to amateurs. In 2004 that changed, and the race became known as the Tour of Utah. The format was bought and promoted by Larry H Millar Investments in 2007 – ironically, the ’07 edition was postponed due to a lack of sponsors. One of the only UCI sanctioned stage races in the US, the Tour of Utah attracts a mainly American field, and the results table is reflective of this – Levi Leipheimer and Tom Danielson have won two editions each. Last year the race was won by Australia’s Lachlan Morton in a break from the usual US dominance. The European Road Championships have been regulated by the European Cycling Union since 1995. Riders are chosen by their national governing body and wear national team kit. The winners receive a Champions Jersey reminiscent of the EU flag – blue, emblazoned with gold stars. This year the event takes place in Herning, Denmark, with the 2018 event scheduled to be held in Glasgow. The 2016 European Time Trial was won by Castroviejo, with Victor Campenaerts in second place. This year, Campenaerts has just won the Time Trial, with Maciej Bodnar, fresh from Tour de France TT victory, taking second place. In common with national and World championship competitions, the European Championships also hold U23 and Women’s events. Fun fact – Marcel Kittel won the U23 Time Trial in 2009! The BinckBank Tour grew out of the Tour of the Netherlands, which was stalling and losing popularity in the early 2000s. The race as we now know it started life in 2005 when the Eneco energy company came on board as a sponsor. The original idea was to join forces with the Tours of Belgium and Luxembourg, and to roll all three races into one Benelux Tour. The idea faltered, and all three remain as separate races. Bobby Julich won the newly named Eneco Tour in 2005. The race has always suited Edvald Boassen Hagen’s riding style, and he has won the General Classification twice. Last year Niki Terpstra took the GC honours, with Oliver Naesen in second place and Sagan completing the podium. The Arctic Race is organised by ASO, who also run the Tour de France and the Vuelta a España amongst other high profile races. A relative newcomer, the inaugural edition was held in 2013. Fittingly, the first edition was won by the Norwegian Thor Hushovd, who is now the race ambassador. The 2016 race traced the edge of the Arctic circle and was won by Team Sky’s Gianni Moscon. The Arctic Race takes place in northern Norway and features some of the most stunning and spectacular scenery in the whole of the UCI calendar. The 2017 edition covers 680km across 4 stages, aiming to provide terrain for sprinters and punchers, with a bit of climbing thrown in for good measure. The Arctic Race celebrates Norwegian culture and heritage, and is proud of its reputation as a ‘race with a crazy touch’. Stage 2 will be one for the pure sprinters with an unconventional finish on the runway of Bardutoss Airport. The Norwegian fans are very vocal in their support of the race, which is fast becoming a highlight of the UCI calendar. A series of 4 one-day races, the Colorado Classic is a new event which is said to fuse the best elements of ‘Colorado’s lost Red Zinger Bicycle Classic, the Coors Classic and the USA Pro Challenge’. Red Zinger and the Coors Classic were popular American criteriums, whereas the Pro Challenge was the perfect made-for-tv extended advert for the Colorado tourist board, taking the viewer on a spectacular journey of the Colorado high lands. For a state obsessed with all things bicycle, stage racing has never really found its feet in Colorado. The new initiative hopes to address this anomaly, and includes a ‘three day street party’ in Denver called Velorama. The organisers see Velorama as the perfect vehicle to relaunch road racing in the public imagination, relying heavily on advertising slogans such as ‘Pro Cycling is Back’, and ‘100+ cyclists, 3 cities, 1 giant party’. Colorado is well known as a creative outdoor hub, and it seems fitting that something as unique and intriguing as Velorama is taking place here. Local lad Taylor Phinney and his teammate Rigoberto Uran of Cannondale-Drapac will be amongst the number of pro riders making an appearance, fresh from Uran’s 2nd place at the Tour de France. Lance Armstrong and JB Hager will be covering the Colorado Classic for the Stages podcast, a perfect match as both the Velorama event and Stages take a new and pioneering approach to road racing, which could be just what the US scene requires to inject some much-needed enthusiasm at grass roots level. The 2017 Tour de France only included 3 American riders; hopefully initiatives like Stages and Velorama will go some way to rectifying this perceived lack of depth in US pro cycling. The Pro Peloton in Words.